Over the years our clients have had the opportunity to work with the numerous Microsoft MVPs that have been a major component of our team of Microsoft Excel and Access experts. Their contributions have lead to our raising the bar in our niche and have been nothing short of outstanding. Their efforts have been a critical factor in our continued growth year after year. For those of you that don’t know what Microsoft MVPs are, according to the Microsoft website they “are community leaders who’ve demonstrated an exemplary commitment to helping others get the most out of their experience with Microsoft technologies. They share their exceptional passion, real-world knowledge, and technical expertise with the community and with Microsoft.” As one of our clients you are able to tap the skills and experience these uniquely talented individuals have to offer. The reason I bring this up is that this week is the 24th annual Microsoft MVP Summit, held by the Microsoft corporation. This week many of those MVPs that have worked so closely with some of our largest and best known clients (Microsoft, Red Bull, LinkedIn, etc.) are gathered in Redmond and Bellevue Washington, attending exclusive closed-door sessions on the various aspects of the Microsoft applications, attending Microsoft dinner parties and social gatherings. These MVPs are so dedicated to their work and our clients that they actually find the time to work while they are there.1 Jacob, our Lead Microsoft developer and Microsoft Excel MVP for example is working on numerous projects while he is there. The reason for this blog post is not only to take a few moments to look back at the work our Microsoft MVPs have done directly for our clients over the years, but also to look back at all of their non client-specific efforts, such as our Microsoft Excel VBA Certification course at VBAExpress.Com or the library of Microsoft Excel and Microsoft Access training videos. While not developed for a specific client they are accessible to all of our clients and site visitors. 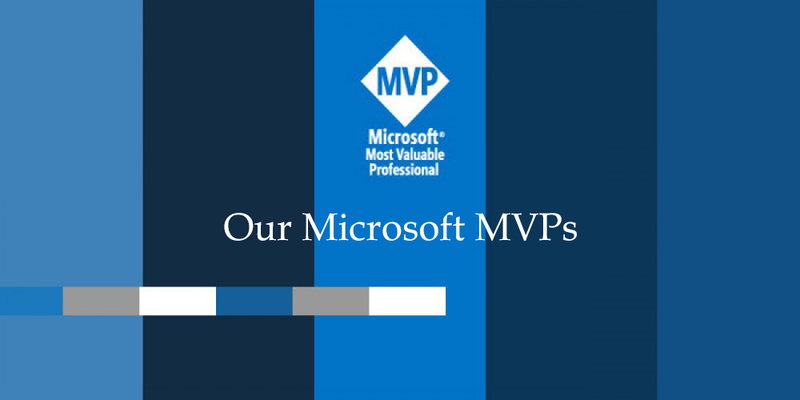 Below is a partial list of our Microsoft MVP efforts. Excel and Access, it’s proprietors, it’s quality and level of work are all phenomenal. We enjoyed our engagement with them on a special project. They were flexible, nimble and was able to meet our very high standards, requirements and tight deadlines. They were available and met the deadlines comfortably. We would hire them again if need arises. They care about their clients and made sure we were satisfied with the completed work. 5-Star reviews like that show you what our MVPs have been capable of producing over the years. We have hundreds more of testimonials just like that, from companies such as PepsiCo, HP, amazon, and from many companies you will not recognize. But in the end it shows that our commitment to our clients not only gets results but also one that sets the bar in this space. As a final note, our work with Microsoft is the one we discuss most often given we make our living working in their applications. Microsoft is the top of the heap, the client of all clients. We have been blessed to have the opportunity to work with them several times. One of our long-term Microsoft Excel MVPs actually went to work directly for Microsoft this year, on the “Excel Team”. That is a dream job. The Excel Team designs Microsoft Excel. Microsoft is one of our repeat clients. On one project two of our Microsoft Excel MVPs worked on the Excel templates that ship in Microsoft Excel, and can also be found on the Microsoft website. One of our Microsoft Excel MVPs worked on several Microsoft Excel Power BI projects for internal use at Microsoft. If Microsoft hires us to deliver the solutions they need to run their business and to deliver to their clients, perhaps you should too? Posted on November 13, 2016 Posted in Blog Category and tagged Excel, Technical, Professional, Skill, Experts.